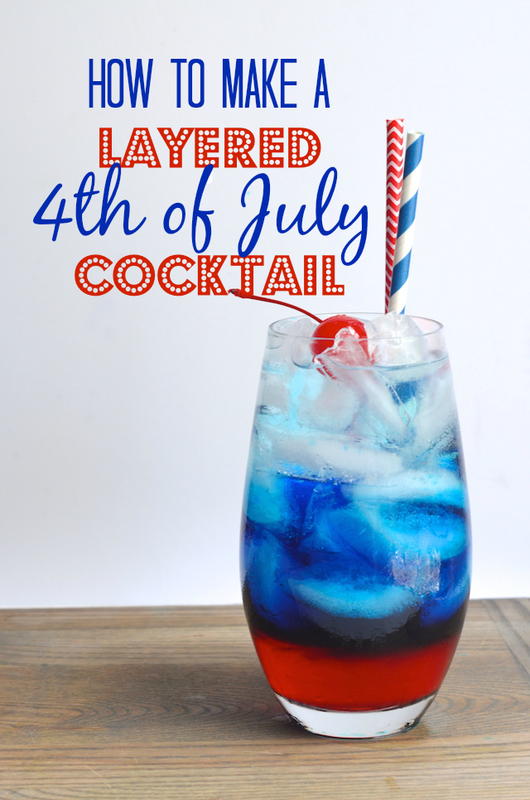 We're just a few days away from the 4th of July, so I thought I'd teach you an important cocktail trick that you can use to impress your guests at your fourth of July parties: how to make a layered cocktail! One of the most fun things about Independence Day parties is that you can go full out with the kitschy red white and blue party decor and menu (and outfits!). 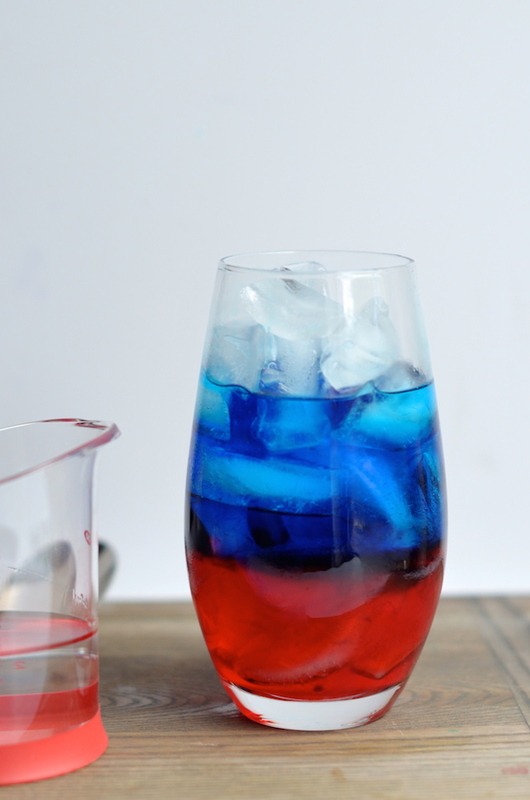 Red, white and blue cocktails are especially fun to serve. The trick to making them successfully is to rely on a little grade school science. You might remember those 6th or 7th grade experiments that involved liquid density--layering things like oil, syrup, colored water, and dish soap in beakers to show how some liquids rise, while others fall. And that's really what this is all about! 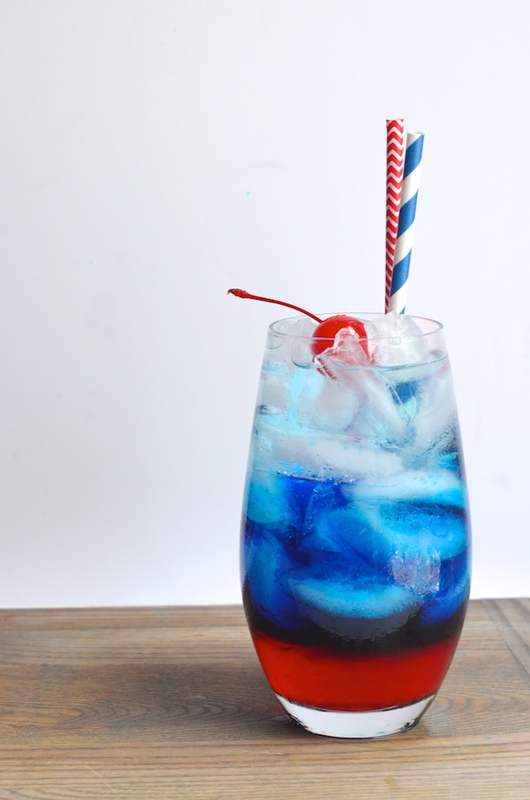 To demonstrate this, I'm using a delicious recipe for a perfect 4th of July cocktail called "The Firecracker" from the bartenders at the Princess Royale hotel in Ocean City Maryland. 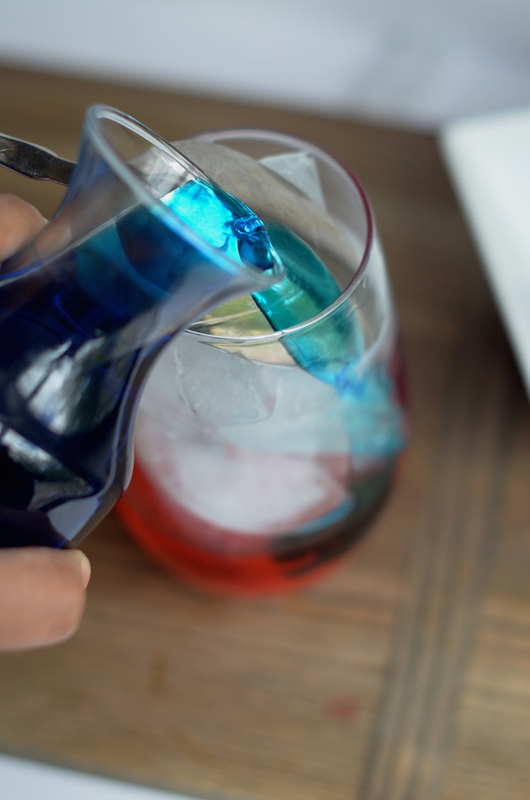 This recipe calls for some easy to find ingredients like cranberry juice cocktail, raspberry vodka, blue curacao (an orange-flavored liqueur), and club soda or seltzer. You'll also need ice, a large dinner spoon, and a cherry or red berry to use as a garnish. Start out by gathering and measuring your ingredients. You want to have it all ready to go, because each step needs to be done right after another. 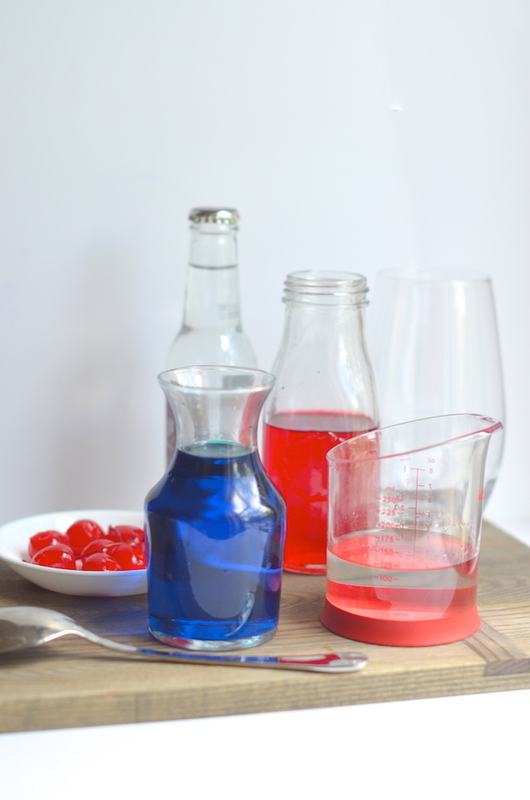 I suggest measuring out each ingredient into small bottles or measuring cups for easy pouring. Once the red layer is in, add the ice all the way to the top of the glass. You want to add the ice second, so you don't end up with juice-covered ice. Place a spoon with the bowl upside down against the edge of the glass. Slowly pour the blue curacao over the back of the spoon so that it drips gently in. This spreads out the density of the liquid as it pours so that it can float over the red liquid instead of breaking into it. Rinse the spoon or use a different clean one (so you don't dye the clear layer with the curacao), and repeat the gentle pour over the spoon with the vodka and club soda until it hits the top. 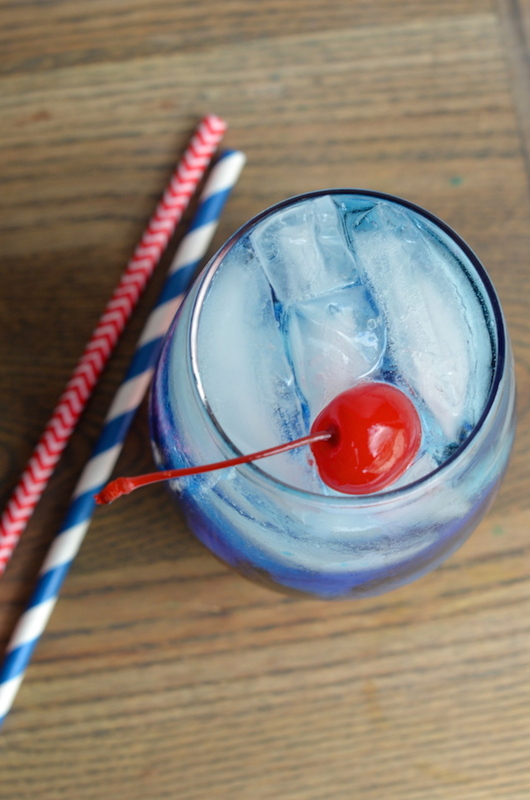 You're ready to enjoy your red white & blue cocktail. 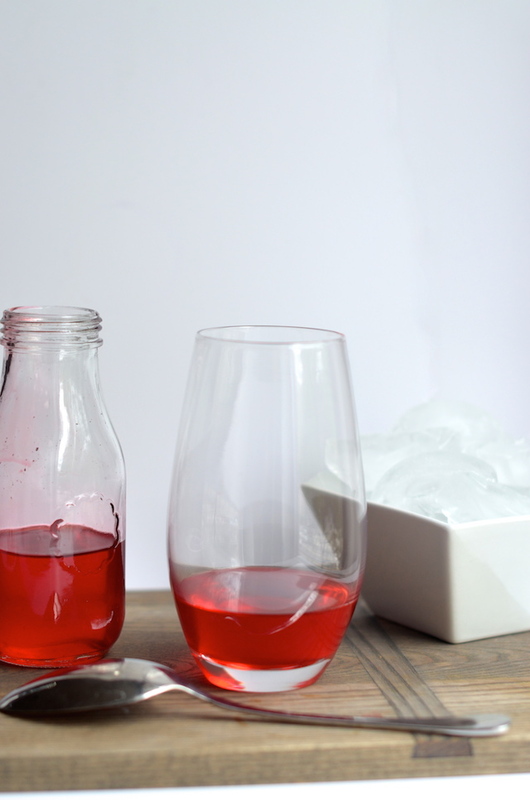 Note that if you follow these steps you can totally customize the recipe to your liking by substituting your favorite flavor of red juice or vodka. 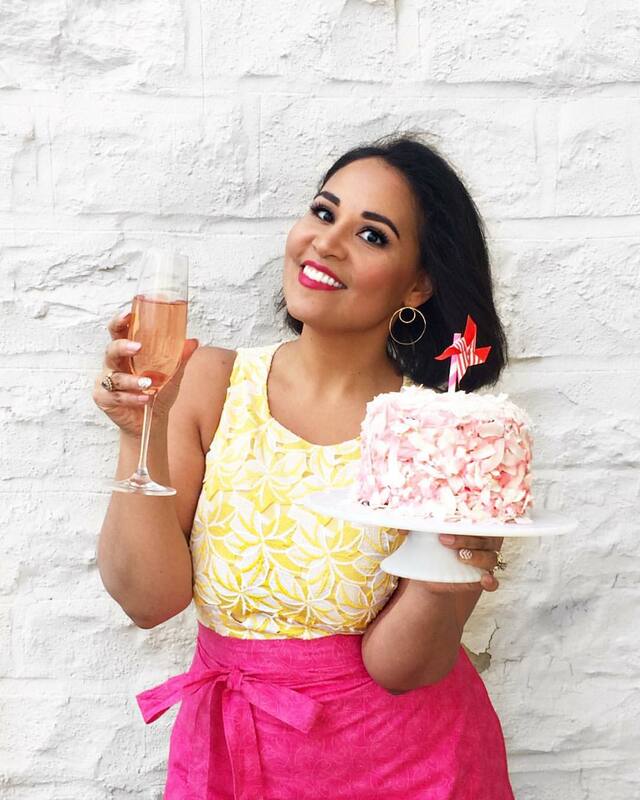 Thanks to Princess Royale for sharing their fun cocktail recipe! If you're in the area or planning a visit to Ocean City, you should pop in and have their awesome bartenders pour the drink for you! Disclaimer: This post is sponsored by the Princess Royale hotel in Ocean City, Maryland. I was compensated to write this, but the concept, tips and all opinions are my own. Thanks for supporting companies that allow me to write fun content like this for you! 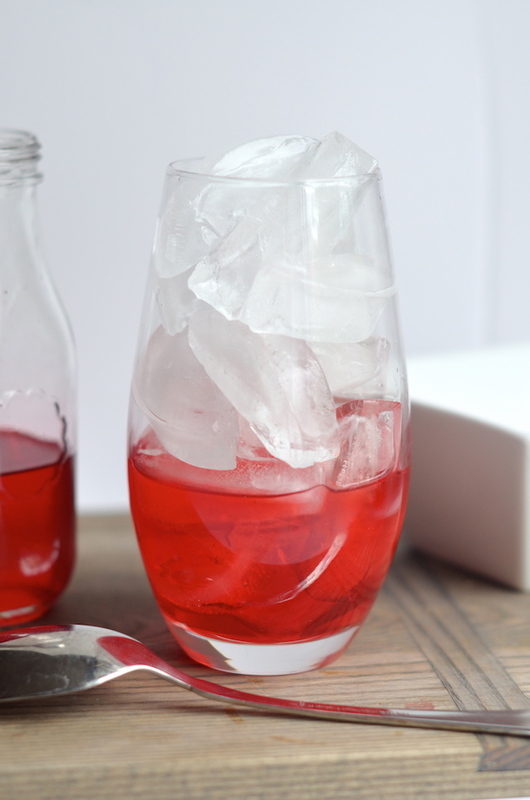 Pour the cranberry juice into a highball or other tall cocktail glass, then fill to the top with ice. Place a spoon with the bowl facing down against the side of the glass, and slowly pour in the blue curacao over the back of the spoon. Rinse the spoon (or use a new one) and repeat with the vodka and the club soda. Garnish with a cherry and serve immediately.